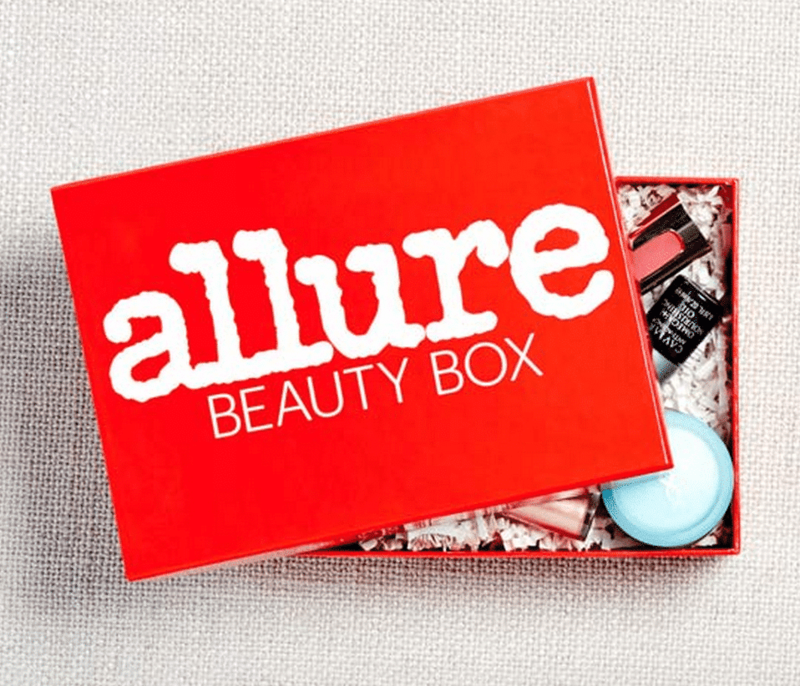 Allure Beauty Box February 2019 FULL SPOILERS + Coupon! 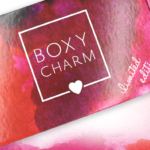 We have the spoilers for the February 2019 Allure Beauty Box! So, people complain and accuse companies of scamming them but when they try to scam deals by using other retailers and other email addresses etc they get mad when the system figures it out and cancels their orders?! What’s wrong with this picture? Rofl!!! If you’re referring to Amazon selling the boxes, I pay the same ( actually $1.06 less) for the Amazon boxes each month than for the one Allure charges and ships. If you’re hinting that it’s fraudulent to subscribe through Allure and Amazon, that’s not true. Their system can see it’s my name, address and payment method for all my boxes every month. The issue is that Allure doesn’t allow a customer to easily buy more than one box from them. Amazon.com is the answer to the problem. I’m not aware of any scamming. What do you mean about scamming the retailer? I actually agree lol, I do complain when i get scammed by these companies but I also don’t have separate emails or sneak more than one account, I’ve always thought of it as scamming as well. seriously, just CALL THEM! THE NUMBER IS ON THEIR SITE. I was just on the phone no more than 10 minutes (including a 4 minute wait) and was able to accomplish multiple things easily and cancel my subscription until March (don’t want the Feb box)! Emails took forever, I must of sent 4-5! CALL THEM! I just got the Caudalie in my December box!! I’ve been purchasing my box from Amazon, but decided to take advantage of the offer. I’m very excited for January. February isn’t a good match for me. February isn’t that exciting but I’m enthused to see the Wander mascara is included. That is my favorite mascara! And it’s full size! Which is what I love about Allure! Has anyone actually received the CEO serum?? Nope, no response from my email weeks ago and no Sunday Riley. Nope. It was a phony promotion, apparently. I finally received a reply a they said that I should receive it by January 7th. It took about a month and multiple emails for me to receive a reply. I got the response today. I still have not received my Sunday Riley I’m wondering if they will ever sent it! No. I won’t. I was a scam. I actually did receive mine about a week ago! They are having major delays apparently – they should be more upfront and transparent about the shipping schedule. I received mine!! I just got my box though which seems kinda late but so happy!! I just got my January box yesterday! I emailed the company and finally received an email saying it would ship soon and weeks later it did and I finally just received it. Did someone receive February box? Yes, just received mine today. I am liking it better in person actually than I did the spoilers. I recieved mine and very happy with it . Thanks Allure. I received the Feb. Bag today. Not impressed, but the plastic pouch isn’t broken, so I am calling it a win. If not receiving a freebie is “stressful” you must have a pretty charmed life. Yes….I LOVE the Wander Mascara. If I ever get my first box (subbed for Dec Highlighter–obsessed with highlighters), i think i will stay subbed until Feb…mainly b/c it’ll cost me more to buy the mascara by itself than to just wait. January looks decent enough…but again, we’ll see if I actually get the first box. Did this the month Kat Von D Curated Allure and never got it. It kept getting sent back to the post office in error. Finally gave up and asked for a refund. At least it has 3 full size items, beats any box out there on value and sizes. I ordered the 3 month special on November 23, I received a email saying opps we cancelled your order, gave refund, now we have recharged you so all good. But No, no boxes came, no refund given. Then I receive a letter dated December 18th, saying we can’t process your order. I call, explained you have my money, now they say No you can’t have the deal. And we will refund your money. The lack of interest from the 2 customer service reps and the supervisor was unreal!!! NEVER AGAIN, it could be 5 dollars a box and they will never get my business. Too many great boxes that have great customer service to mess with Allure. Wow that is ridiculous such horrible service. I placed my first order just to check it out and only pay the $10 for first box but I’m worried I will have problems when it comes to canceling. Allure has not been replying to emails for the past few months, it shouldn’t take a phone call when they provide customer service by email. I had never had any issue with them except it took a couple of days for a response. I sent an email in Oct about a gift subscription, no response. It took 18 days to get a response to an email I sent in December. I’ve been an Allure subscriber for a long time but their customer service has actually gotten worse over the last 6 months. They actually sent an email saying they needed to improve their customer service unfortunately, it’s actually worse then it was then. I hope they’re able to improve the dismal assistance subscribers are receiving. Yes Amazon is literally the best for Allure & I get my box super fast..on the 9-10th of the month, every month. I also get my box much quicker with Amazon prime. I did it one month where I wanted 2 boxes (via allure + prime). I received tracking the next day and it arrived within a week. Super easy to cancel. Just click a button. Amazon’s customer service is amazing as well if you have issues. I always use the chat option. I just signed up today but I’m so worried I will have problems when it comes to canceling. I honestly signed up to receive one box at $10 and see how I like it and already called to cancel to not be charged in January. They said I will receive my first box and will cancel my subscription afterwards but we will see. The first two months of 2019 are already looking good! November and December have been pretty meh for me. I used most of the masks in November just to get rid of them, and passed on most of December. I’m not an eye shadow person! I love all the skincare stuff we’re getting in Jan and Feb! I’ve been dying to try the Mamonde brand forever. Thanks for clearing that up! Prefer that over a pink eyeshadow trio. Retails for $22. Thanks for clearing that up! Prefer that over a pink eyeshadow trio. I googled it… the colors do look like they match the picture above, but the highlighting trio looks creamy vs the picture above looks like it’s powder based. The highlighter trio looks prettier IMO, so I am hoping you are correct! Whomp whomp. January looks SO good but February is such a let down. I will most likely only use the sheet mask, brush and maybe the face wash. Am I the only one who isn’t impressed with this mascara? I’m sure I can gift the rest so For $15 I won’t cancel. But still a bit disappointed. I emailed them about not having received the Sunday Riley and never heard back of course. February is just ‘meh’ for me but it seems like a lot of you love that mascara. I was thinking of re-subbing to BeautyFIX again but I am trying to work through all of my skincare samples first before I go getting full-sized stuff. I was going to say Sunday Riley isn’t until January but then thought “maybe she’s talking about the subscriber gift” which they do seem to change quite frequently, and they do also ship it separately from the box. Yes, ma’am. Still talking about November’s subscriber gift. Sell your unwanted items on Poshmark. My daughter sells a ton of beauty stuff and buys a ton too. I didn’t care for November and December but January and February look better. January is a no brainier for the Sunday Riley, February for the browgal and wander beauty. That’s great mascara. I passed on December, and looks like I’ll pass on February, but I’ll be getting January. I might get that Sephora Luxe box instead. February looks pretty good, and it’s my birthday month. I’m hoping for the Amika as well. I can always use another hair mask. I’m going to pass on more eyeshadow and yet another black mascara. The brow gel would get used, but its a mini and not worth $15. They have an indefinite pause option if you call. I called to cancel the December box and was offered to put my sub on hold until I call back and restart it. PLEASE NO VARIATIONS!!! PLEASE NO VARIATIONS!!! PLEASE NO VARIATIONS!!! I’m actually excited for February – I love those Mamonde sheet masks and my stash is getting low. I’m looking forward to the Mamonde oil to foam cleanser as well. It has great reviews on Ulta’s site! Overall happy with January and February’s spoilers. It was December which felt like a dud to me, honestly. Same here. It makes me look ill. My highlighter also has rust along the edges. Not happy with Allure. Of course they are not responding to my email. It’s not rust, it’s glue. There’s a Reddit thread where someone took it apart and is familiar with mechanics or something. I also emailed ofra directly and they said it’s glue and because the way the shipment was stored. FYI they also gave me a $15 off coupon so it might be worth it to email them with pictures! 😂Lol lipli is on every one. Its code for “lip lingerie”. The shade should be on the side of the tube. It’s actually the same shade. The Lipli24 seems to be the product code. But I agree, it is way more brown than shown in pics. Looks like a month I can skip. I naturally have brows for 4 (when I don’t wax them) so the brow-gal is wasted on me. I can’t pull off pink on my eyes, but I hope others enjoy it. The model Co looks like the highlighting trio. Hard to tell, I could be wrong. Google “model co highlighting trio”. I can’t find the eyeshadow trio in that circle pan. Only a rectangle one. Definitely pausing after January. The only two things I like are the brush and face mask, but that doesn’t even make up for what I would pay for the box. I might do Sephora Play! or another box in February. Since I’m still on my 4 boxes for $10 deal I’m not too disappointed. I can always use an extra mascara and I’m always up for trying a new cleanser (never tried that brand before). Looks good but I’m not liking the cheap looking plastic bag. Disappointed in January spoilers and now February. Oh well with money I am saving maybe I will buy UD elements palette . Lisa, Sephora and Ulta has it on sale for $26. I just bought one yesterday and got 20% off on the Sephora app. I saw that and that’s what made me want it. I only buy palettes when they go on sale . Lucky you, it’s gone on markdown! And you’re right about contacting them…best always to do it by phone. Good Luck! I was already going to cancel after January due to total product overload, and this box makes the decision even easier. Very underwhelming. Can anyone provide the telephone number for Allure’s sub box customer service? I want to cancel my subscription but can’t find an email contact & have heard it’s easier & I’ll get better customer service if I actually talk to them. Allure customer service number is 1800-274-1603. They have great customer service when you call. When you go to cancel there’s a chance they’ll offer you a cheaper price for you to stay. After this month’s orangey makeup, the pink stuff is actually looking pretty refreshing. I just ran out of that mascara and I cried when I had to throw it in the garbage lol ..I love it and I was gonna buy another one, but now I will just wait for this box. Huge savings! Seriously! Everything slides off my lashes, even Clinique lash power and the wander beauty mascara does not budge. I’m excited to get another full size! I’ve received one in Boxycharm and bought a backup for the first time ever. I don’t use mascara daily but this is a HG for sure! That’s how I discovered this mascara too. I got it in BC and just ran out of it, so this is perfect timing for Allure to put it out for us! I have one as well, that’s where it came from. I’m thinking of ditching Boxy, just not that thrilled with it. I cancelled boxy right after this luxe box and then I used up my charms on another Spongelle. I just wasn’t thrilled with them lately, and I have tooamy products right now. I am keeping allure of course, Ipsy Plus, and FFF. That’s plenty for me! I love Mamonde! Don’t care for the brush nor Model Co.
Not as exciting as January, but it still looks like some fun stuff. I’m having a ton of fun with my Juvia’s palette, and it will be nice to try out that pink trio for springtime. On a side note, did anyone actually get the Bliss peel in their December box? I got the Ren product, and I know many people got the Bliss foil masks. I was kind of interested in the peel mask. I got the Bliss peel-off mask. I did! It’s the only thing I was interested in, so yeah!! I got two boxes and two Rens and I actually just used it for the 1st time last night and was pleasantly surprised this morning! I thought it was gonna be too oily but I woke up to supple, moisturized, and beautiful skin! I ordered December boxes 2 as gifts, I ended up with one of each variation but I think it’s because they all shipped at different times. I got it. I haven’t tried it yet, but it does definitely look like something I want to try. It’s a decent sized tube so I should get a few uses out of it. I haven’t even gotten my December box yet. I’m really not happy. I got the Bliss as well. Would have REALLY liked to get the Ren, that stuff is nice! Looks like a really skimpy box to me. Looking at that first picture, it’s like there is nothing in it. I’ve tried that Wander mascara before and really liked it! And I’m always happy to try a brow gel. Is that black pouch the new replacement for the box? Not as impressive as the Dec and Jan boxes, but I’ll take it. I’ve never tried Model Co but it seems like a good brand and that palette is $18 on Birchbox. I can always use more brow gel, brushes, cleanser, and masks. And the Wander mascara will make a good gift since I already have one and like it. 2 of the items have been in boxycharm already. Thankfully I actually liked the items so I’m not upset but it is a little disappointing. Eh. I unsubscribed for December. I want January but don’t care for February. I’m thinking I’ll subscribe through amazon. Same here. I actually changed my credit card to one that expired at the end of November just so I didn’t have to call and cancel because I didn’t want December. I also want January but don’t want February and I don’t want to stay signed up because I have too many products as it is. But………….. Sunday Riley is calling me, lol. Same, but I guess the folks who prefer makeup to skincare will be happy again come February. Loving January but February looks absolutely awful and boring to me. BTW Mamonde is a very cheap Korean brand. The exact sheet mask is sold $7 for a box (5 sheets) in China. Allure is killin’ it! I’ve loved every box for the past 15 months. Finally, someone who gets it! Refreshing to see that the great high end products Allure offers and the value of bigger samples and some full sized items too. This company is a leader in the industry for many reasons. It took 2 months for mine to come. When my friends signed up it was the Mascara but I got the Sunday Riley. I want to cancel after January but am afraid to do so in the hopes that I might still receive the Sunday Riley but at this point that might be a miracle! Same! The February box looks awful to me. I don’t want to cancel, though, in case they keep their word and actually send the Sunday Riley.